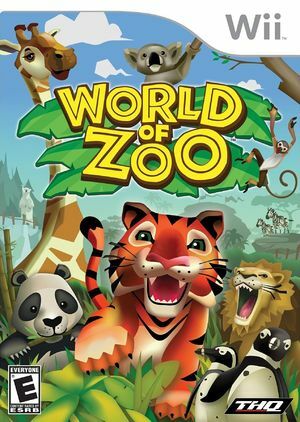 World of Zoo takes players beyond the fences and into their own zoo, allowing them to care for and build relationships with numerous animals through hands-on interactive gameplay. Packed full of customization features, players will be able to experience their own personalized virtual zoo creating an experience unlike any other animal-based simulation game. World of Zoo is a family-friendly game that will open the gates for gamers to freely roam their zoo in ways they have only imagined. With more than 90 different animals spanning 11 families to care for, players will have ample opportunities to engage with all types of species. The Animal Creator feature will allow players to create an unlimited number of animals and be able to customize each one. They can even add animals to any of the 20 different exhibits available in the game utilizing the Animal Adoption Network feature. Players can also learn about their animals through fun animal facts provided by National Geographic. Each animal is completely unique with different personalities and behaviors. It will be up to the player to determine ways to gain their trust and keep their animals happy, ultimately earning a Magic Moment from their animal. The graph below charts the compatibility with World of Zoo since Dolphin's 2.0 release, listing revisions only where a compatibility change occurred.